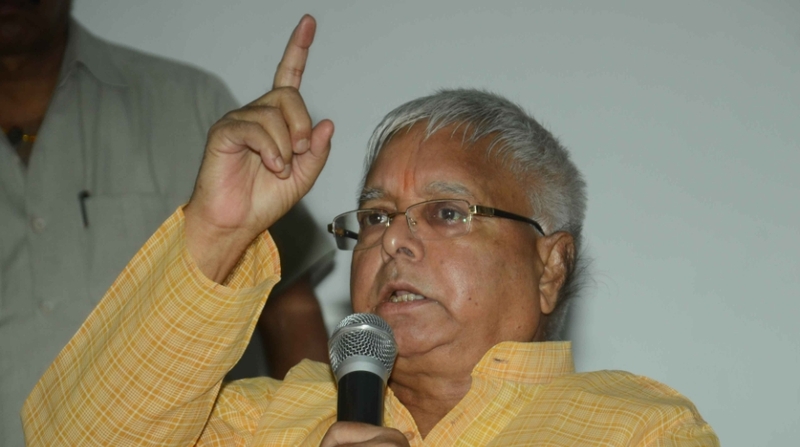 Lalu Prasad Yadav was convicted in the fourth fodder scam case on Monday. A CBI court in Ranchi found the Rashtriya Janata Dal (RJD) chief guilt in the Dumka scam case. While the court found the former Bihar chief minister guilty, it found Jagannath Mishra, another former Bihar chief minister, not guilty. Mishra has, however, been held guilty in two previous cases. The court pronounced its judgment in the presence of the RJD supremo but the quantum of punishment has not yet been announced. TV media reports indicated that the court has acquitted 5 people accused in the scam. This is Lalu’s fourth conviction in the six cases he faces. According to reports, Lalu faces a jail term of three years to five years in connection with the Dumka case. An emotionless Lalu, who is serving time in the Birsa Munda jail since 23 December 2017, was seen being taken away from the court by a bevy of police personnel. He was admitted to a hospital on Saturday after he complained of chest pain. “This is the fourth time we are disappointed but we are not disheartened. We believe that in the end Lalu ji will be acquitted too,” said RJD leader Raghuvansh Prasad Singh. The hearing in the fodder case, relating to fraudulent withdrawals of Rs 3.13 crore from the Dumka treasury between December 1995 and January 1996, was completed on 5 March. A total of 31 people were accused in the case. On Saturday, the court had deferred the judgment for Monday. The special CBI court of Shivpal Singh was scheduled to pronounce the verdict on Thursday 15 March but then shifted it for Saturday before again postponing it to Monday as 42 judges from across the state are participating in a two-day training programme being conducted at the judicial academy here. Lalu Prasad was convicted in the first fodder scam case in 2013 and awarded five years in jail. He was subsequently convicted by a special CBI court in the second case on 23 December 2017, and awarded three-and-half years’ imprisonment on 6 January. On 24 January he was convicted in the third case, related to fraudulent withdrawals from the Chaibasa treasury, and awarded a five-year jail term. Another case – related to a fraudulent withdrawal of Rs 139 crore from the Doranda treasury in Ranchi – is pending in the court. The multi-million-rupee fodder scam surfaced in the 1990s when Lalu Prasad was Chief Minister of undivided Bihar.